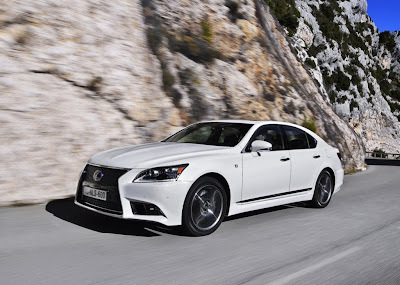 With over 730,000 models sold during its 23 year, four generation history (the majority of which are still on the road), the Lexus LS has grown and evolved with the times. Yet is has always remained true to four key genetic traits: The adoption of world first, cutting edge technologies; the highest levels of quality combined with a uniquely Japanese sense of style and detail; unrivalled cabin quietness; and the smooth, comfortable ride befitting a premium segment luxury sedan. Constituting a significant evolution of the current LS, the new Lexus flagship scales new heights of product maturity through a bold blend of style and refinement. 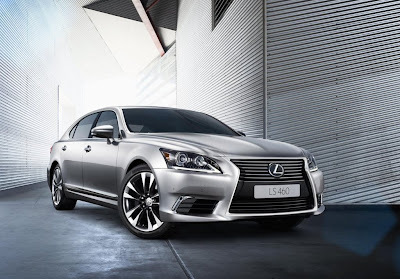 Since its launch in 2006, the current generation Lexus LS has been subject to over 2500 ongoing improvements; at a stroke, the new LS adds another 3000 changes, including three world first, and no less than 15 Lexus first, features and technical innovations. 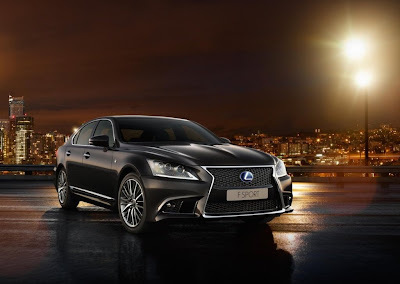 Responding in detail to customer feedback throughout every aspect of its development, the new LS has been conceived to raise the bar even higher in the pursuit of unprecedented refinement, comfort, driving performance, technical excellence and, above all, quality. 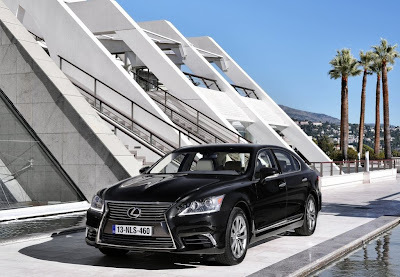 Representing further improvements to Lexus' already peerless standards, the new Lexus LS now lays claim to being amongst the quietest, most comfortable cars in the world. The new LS features major changes to the exterior which reflect a further development of Lexus' unique, L-finesse design philosophy. 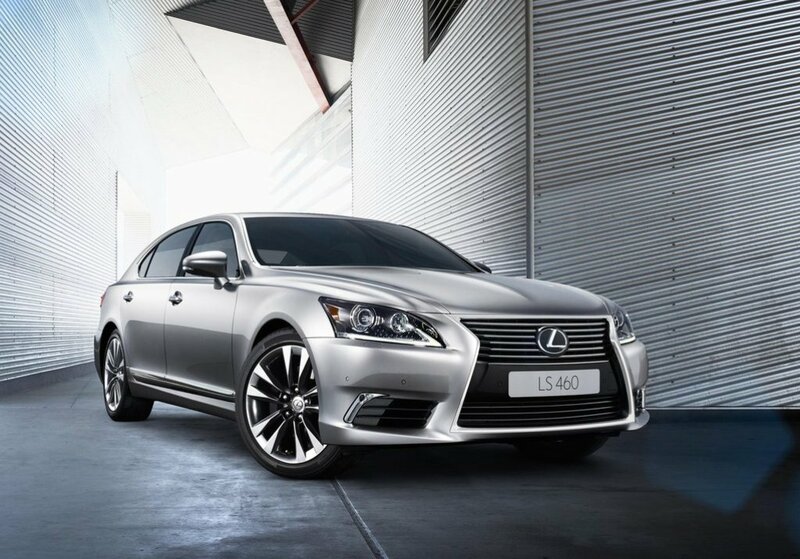 This design represents a bold blend of refinement and evolution, with dynamic, modern, yet dignified styling giving the Lexus LS a unique sense of presence appropriate to the flagship of the brand. At 5,090 mm overall, the new LS is just 30 mm longer than its predecessor. The wheelbase remains a generous 2,970 in length, and front and rear overhangs have increased by 10 and 20 mm respectively. Key to the new design is an aggressive frontal treatment which gives the new LS a powerful, more commanding road presence. In a further evolution of a styling cue first developed on the new GS range, the inverted trapezoid upper grille and slanted lower grille have been combined and integrated into a single element, bridging the bumper mid-section to create a prominent 'spindle' shape. Achieving a new-found maturity here, this bold, elegant and individual grille treatment is the focal point of the major design changes. 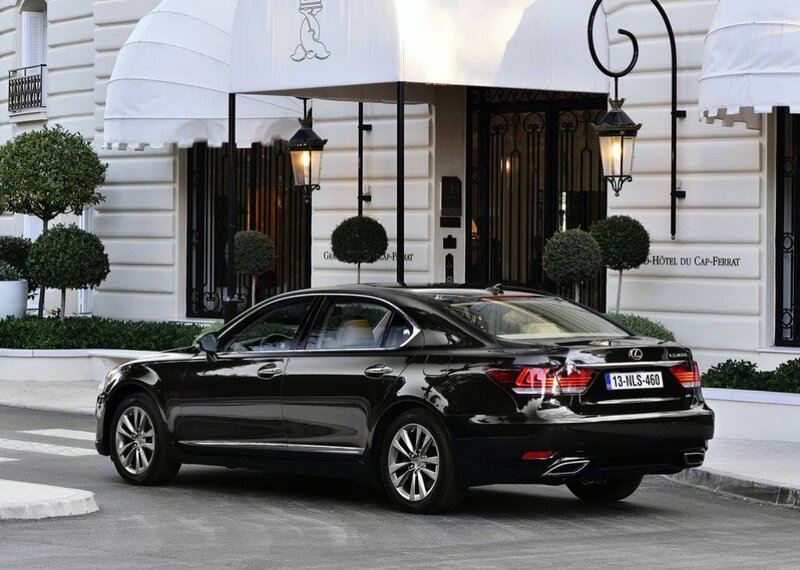 A Lexus first for the brand flagship, it makes the LS instantly recognisable as a Lexus at first glance, and is being adopted throughout the brand to strengthen the Lexus family identity between model ranges. By projecting the surrounding bodywork forward of a vertical grille face, the spindle had been given a strong three-dimensional form, its shape further accentuated by a blacked-out grille finish and a completely chrome plated frame which extends to the bumper openings. Beneath a new, more muscular bonnet design, the grille is flanked by headlamp clusters clearly positioned on a higher plane than the grille itself. This is a unique characteristic of Lexus models, focusing the eye at the very apex of the vehicle to give the design a resolute look and strengthen the impression of power and agility. The Lexus LS may be equipped with two types of headlamp; a two projector discharge design and a three projector unit featuring full-LEDs. Equipped with the latter, the LS offers Lexus first, all-LED exterior lighting. Featuring 12-LED turn signal lamps for the first time in a Lexus, the headlamp housings are underscored by integral LED Daytime Running Lights (DRLs). The DRLs are of a new design, featuring a single, seamless light tube which forms an L-shaped motif, further reinforcing the unique visual signature of the new LS. The new, deep front bumper design forms a wide, trapezoid shape which anchors muscular front wings and flared wheel arches, reinforcing the new LS's wide front track, low centre of gravity and broad, purposeful stance. The bumper integrates sharply sculpted front foglamp housings featuring LED foglamps. Harmonising with the spindle grille design and L-shaped DRLs, the vertical lamp structure incorporates the world's smallest PES lens with a diameter of just 30 mm, combining top-level illumination with a unique Lexus design signature. In profile, the new Lexus LS shares its predecessor's long, elegant cabin proportions. The shape of the rocker panels and below-door mouldings has been changed, continuing the sharp form of the wheel arches and accentuating an image of air flowing smoothly along the flanks of the car. New door mirrors feature chrome plated ornamentation and incorporate LED puddle lights and a new LED turn signal. To the rear, the front spindle design is reflected in flowing lines that cut across the boot surface from the C pillars and then flare out towards the lower half of the body, once again accentuating the new LS's low centre of gravity and purposeful stance. First introduced in the LS, the unique, L-shaped motif inside the rear lamp clusters harmonises perfectly with the new trapezoidal design. The rear lamps also adopt LED technology throughout, adding depth and crystal-like clarity. The light guide LED lamps form a clearly visible L-shaped signature whether on or off. Human-oriented interior design is one of the fundamental tenets of the L-finesse design philosophy. Marking a significant evolution in the design history of the LS, a new instrument panel reflects this with a radical change to a more horizontally-based layout offering drivers more comfortable, ergonomically ideal interaction with the vehicle's HMI (Human Machine Interface) systems. A clean, elegant dashboard design forms a wide horizontal plane, emphasising the overall roominess of the interior, whilst the door and centre console trim support the driver and front passenger in a secure, cocooned environment. The dashboard is divided into two distinct zones: an upper Display Zone, with the ultra-wide, 12.3 inch, LCD multi-display screen - the industry's largest - located at an ideal distance for at-a-glance viewing, and a lower Operation Zone, which allows access to system controls such as the second generation of Lexus' award winning Remote Touch Interface (RTI). Every aspect of the driving position has been carefully considered to create the ideal placement of controls, maximise comfort and minimise driver distraction and fatigue. Switches have been combined and their number reduced, and the centre cluster has also been made more compact. The driver's instrument binnacle incorporates high-visibility, large diameter Optitron dials and a 5.8" TFT (Thin Film Transistor) Multi-information screen - the largest amongst Lexus vehicles - with an enhanced display ability. 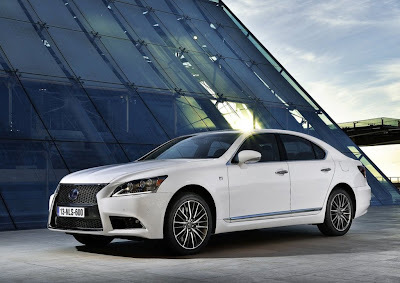 The new LS follows the CT and GS in adopting a Drive Mode Select system, with meter illumination and multi-information display design changing from blue to red in sports driving modes, along with the switching of the hybrid system indicator to a tachometer in the Lexus LS 600h. The centre of the instrument panel features an analogue clock, precision machined from aluminium, with a Lexus-first GPS-based time correction function. The light-emitting hands and scale have been shaped to be as narrow as possible, accentuating the sense of fine craftsmanship. The 12 0'clock marking has been specially cut to concentrate light when the minute hand converges with it, emphasising the start of the next hour. The driver's immediate environment has been further enhanced by a new, 3-spoke steering wheel which, at 380 mm in diameter, is 10 mm smaller than the 4-spoke design it replaces, offering owners a more sporting feel and a closer engagement with the vehicle's enhanced driving dynamics. And the aluminium, asymmetric gear shift lever has been leather-clad for a comfortable grip. Fully described in the Refinement and Comfort chapter, both the driver and front passenger seats have been redesigned to offer improved comfort and support. 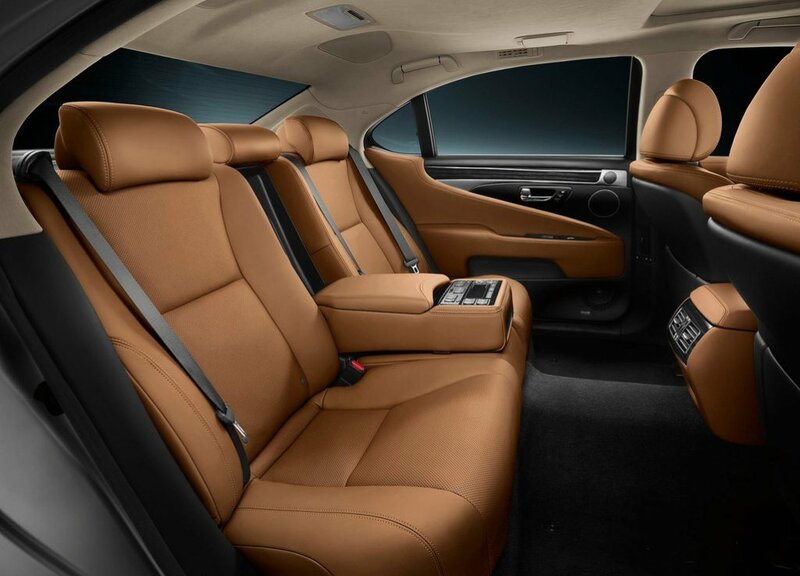 Throughout the interior, genuine materials and finishes convey a contemporary, premium look and feel, with a level of craftsmanship and attention to detail for which Lexus is globally renowned. Lexus firsts, the lower section of the instrument panel and sides of the centre console are clad in a new, highly durable material with the highest quality stitching, and - taking design cues from the interior ornamentation - the new smart key is clad in real leather and alloy for an authentic feel. This beautifully crafted interior is complimented by the world's first Advanced Illumination System (AIS). Featuring new, Champagne White interior lamps and dynamic LED instrument panel lighting, AIS is fully described in the refinement and Comfort chapter.